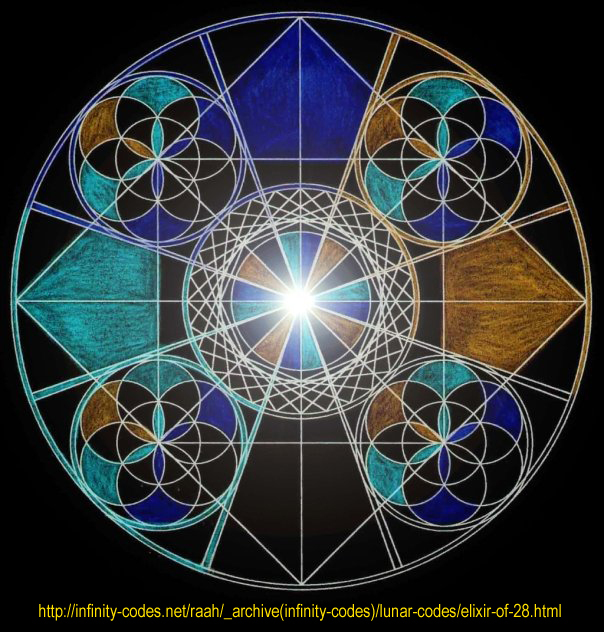 This graphic describes through its geometric structure a further alchemy of 28, into cycles of the 7 days of the week, in combination with a pyramid shape (4 sides). The center is made up of 16 parts (4x4), is coded to 4 colours (green, black, orange and blue), and is a fractal of the genesis pattern (16 = 1+6 = 7). This is contained within a weave of 28, its edge meeting the outer circles of the 4 genesis sequences. 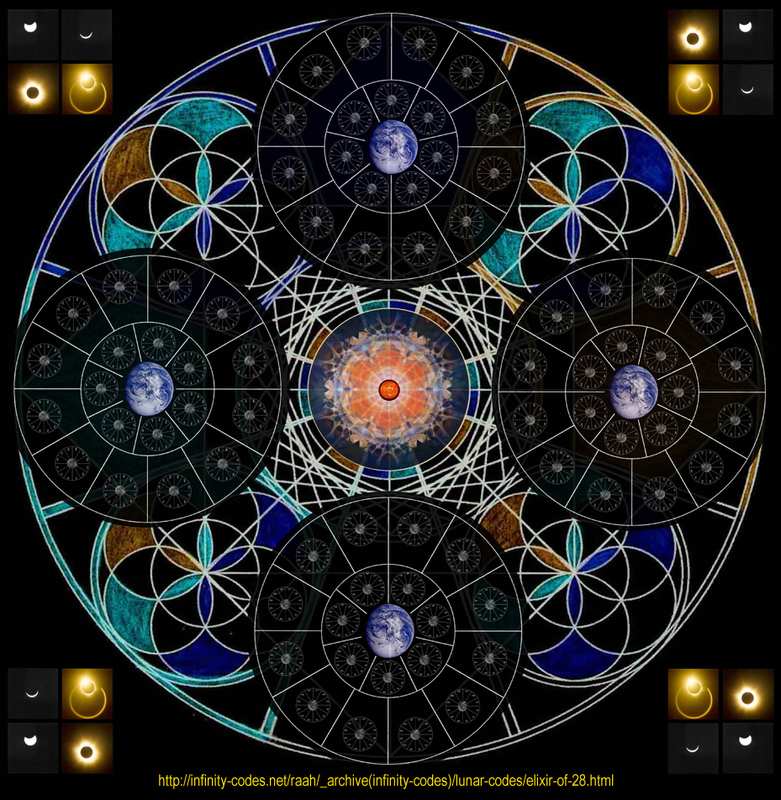 at the beginning of my investigations into the patterns of eclipses.